Drivers who love Toyota SUVs can find the new 2019 Toyota Sequoia in Middletown, CT. 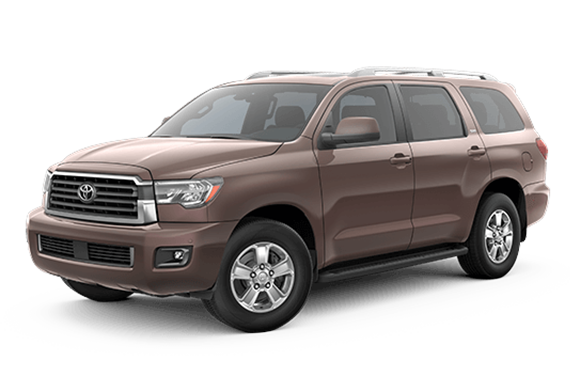 The updated Toyota Sequoia comes with four distinct trim levels––the SR5, TRD Sport, Limited, and Platinum. Each trim offers benefits. For instance, at the base level drivers can enjoy LED low- and high-beam headlights with an auto on/off feature. We encourage you to schedule a test drive online now and explore the other 2019 Sequoia trims. The SR5 can seat eight people and features a rear parking assist sonar as well as the independent sliding and reclining second-row seat. Choose the base trim when you want access to convenience. The TRD Sport comes with a glossy black grille with a chrome surround, 20" TRD Sport black alloy wheels, and LED low- and high-beam headlights with auto/on-off features. The Limited features power liftgate and easy-access third-row seating options. The new Platinum comes with a rear-seat Blu-Ray Disc player and wireless headphones. What looks like an SUV but runs like a truck? A 2019 Toyota Sequoia and its powerful V8 engine that churns out 381-hp and 401-pound-feet of torque. Drivers can now enjoy an available Multi-Mode 4WD system work as well, which makes it easy to commute through Connecticut winters. Visit our dealership and get a look at the Multi-Mode 4WD system, which performs with a click of the shift dial. Throw your Sequoia into its 4WD mode and let the Torsen limited-slip center differential deliver. The updated Toyota SUV features an available multi-function center console, leaving room for the essentials. The Sequoia also has eight-passenger seating and second-row passenger's captain's chairs. Climate control and the 120V AC power outlet also ensure that your SUV is road trip ready. Inside the new Sequoia, drivers can enjoy the third-row with its 60/40 split, there's 40/20/40 second-row seating and fold-flat option. 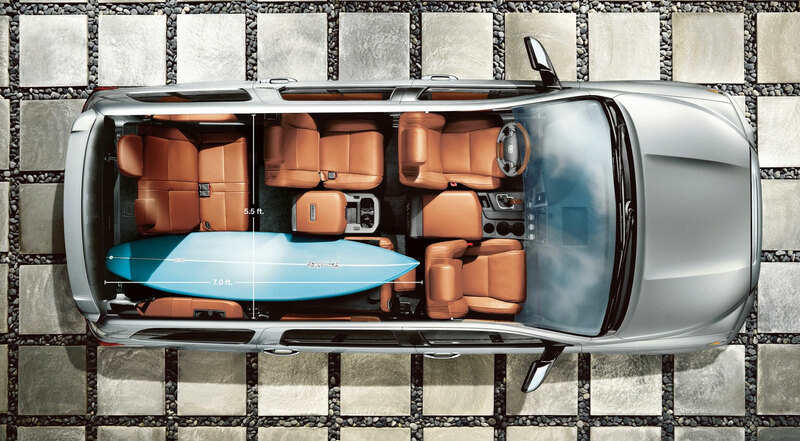 Enjoy all of the added space and take your Sequoia and camping gear on an adventure! The new 2019 Toyota Sequoia offers Toyota Safety Sense™ P (TSS-P), which ensures your safety. The Sequoia's improved TSS-P suite brings forth systems like Rear Cross-Traffic Alert (RCTA) and Pedestrian Detection to the forefront of your drive. Experience a different type of peace of mind with the Sequoia's prime safety suite.